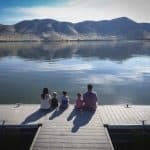 The holiday season is here and if you're a new mom you may be wondering what to expect when it comes to traveling with your infant. 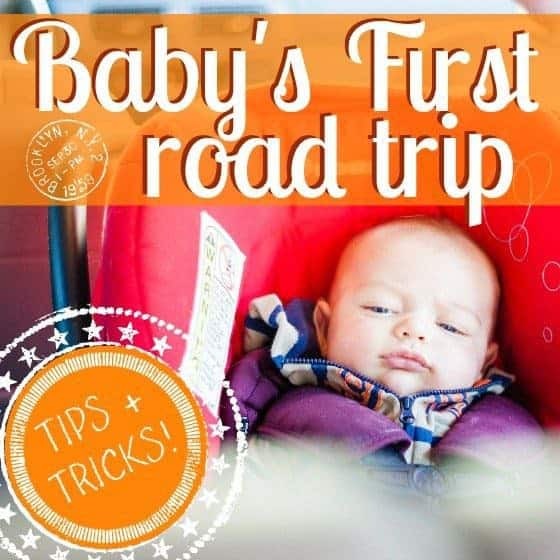 Whether it's just an hour drive to Grandmom and Grandpop's for Thanksgiving, or a long day spent on the road for Christmas at the relatives', below are some tips and things to consider when traveling with a younger baby. Wherever you're headed, give yourself lots of time to get there. That may mean anything from allotting yourself an extra few hours for travel or maybe leaving days in advance. If you're a new mom, you may still be finding getting out the door on schedule to be challenging. Do yourself a favor and give yourself a good cushion of extra time. Avoid holiday traffic by departing a day or two early. 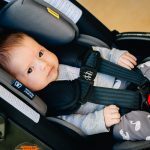 If you’re unsure how to keep your children safe while in a car, you will definitely want to avoid few things like the possibility of being stuck in a traffic jam (especially a grid-lock scenario). Aside from leaving early, you may also consider planning travel time around your little one's sleep time. Many families find traveling at night to be stress-free since their baby will sleep the majority of the time. If you do this, make sure whoever is driving gets in a good nap before departure. Whoever isn't driving may want to sleep in the car to be well-rested to take care of the baby once you arrive at your destination. 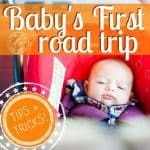 If your trip is shorter, you can still plan to drive during your baby's nap time. If you happen to have a fussy baby that detests the car seat, planning to arrive at your destination just before bedtime can be a good idea. After a stressful drive, everyone will probably want to sleep. 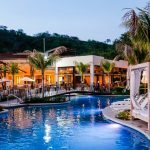 Holidays and vacation can be less-than-relaxing in part because much energy is spent beforehand preparing for your trip or absence from the office. If you write out a list of what needs to get done, you're less likely to be rushing around at the last minute. A good habit to get into before trips (and regularly any time of the year) is to check your car seat installation. If you haven't at least once, consider visiting your DMV, hospital, or police/fire station for a car seat check by a certified tech. Then make sure to regularly test your car seat or base for tightness. Remember: The unit should not move more than 1 inch when tested at the belt's path. 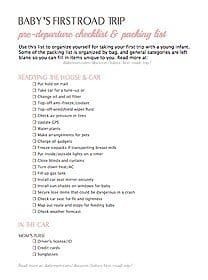 Another good habit is to bring along a car emergency kit. This is particularly important if you live somewhere that gets ice and snow during the winter holidays. If you happen to be traveling on Christmas day, you don't want to find yourself in a bind when most businesses are closed. 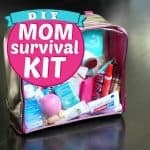 Check out Daily Mom's Packing a 72-Hour Emergency Bag For Your Family and Mommy's First Aid Kit Essentials for a good list of items to keep in your car. 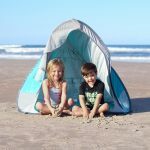 Download our preparations & packing checklist to help organize your first holiday trip with a young baby! When your baby is very young, she may not yet be interested in toys. So how do you entertain a young infant? Have someone sit in the backseat next to her. 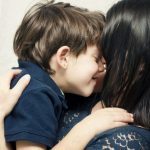 Around two to three months when your baby has started smiling, mimicking expressions, and cooing, you can entertain her with some face to face time. Make exaggerated facial expressions and encourage her when she copies you, or make simple cooing sounds that she can copy. Car trips can be a great opportunity to get some uninterrupted quality time with your baby. 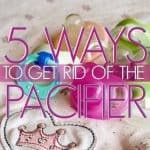 The only item your baby may require to keep him or her occupied is a pacifier. We love the Soothie pacifiers made by WubbaNub that come attached to a plush animal. The plush animal helps ensure the pacifier will stay in (or near) your baby's mouth--so this is an item especially good if you're traveling solo with your baby. If your baby is old enough to grasp at objects, you can hang small items from the seat's carrier handle. But to be safe, only hang lightweight plush items. Even small plastic toys can be dangerous in a crash. Another way to keep your young baby entertained is with some music. Either find a classical music station or bring along some favorite CDs. Find yourself with an upset infant? If you find yourself with a baby that's very upset and you can't stop, try some white noise. Either crack your windows if you're on the highway or tune your radio to a static AM station and crank up the volume. Although it's nice to travel light, having the right baby gear and accessories can make certain operations, like car rides, much smoother! If you're traveling solo with your baby, a good item to have is a backseat mirror, since young babies should be rear facing in the back. Be sure to attach the mirror securely so that it does not pose a hazard in a crash, and only turn to look at it when you're stopped in traffic or at a light. If you're a gadget geek, keep an eye out for the Always in View Baby Monitor for Cars by Infanttech which should be on the market this coming year. If traveling during the day, consider purchasing a set of sun shades for your car windows to protect against excessive UV exposure. Lastly, a comfy baby is a happy baby. So if it's cold tuck some blankets around her. Your scent can help calm baby so for a few nights before hand, sleep with one of her blankets, or use one of your shirts as a blanket. Also ensure that she has proper head support. 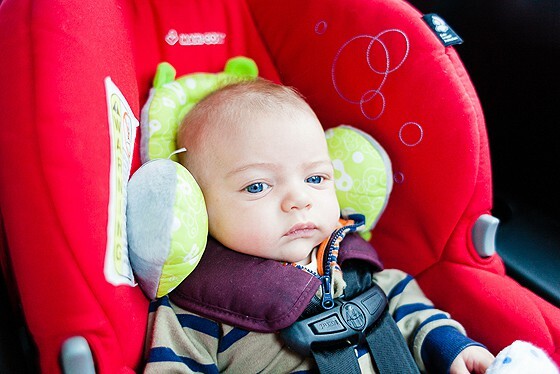 You can buy travel pillows made especially for car seats. 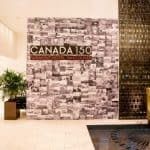 Check out the Travel Friends Pillow by One Step Ahead which offers padding for the back of the head as well as the sides. 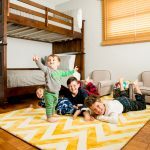 This pillow is especially great to have if your baby has torticollis since doctors may recommend adding support when in the carrier (check with your doctor first though). You should take some water to have on hand for everyone. 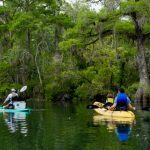 Traveling can be dehydrating but if you're breastfeeding it's even more important to stay well-hydrated. Bring along some bottled water for the ride as well as a jug to keep in the trunk for emergencies. Think about your route ahead of time so you can plan stops to breastfeed (and do a diaper change). Don't try to breastfeed your baby in the car, even with her in her seat, as this can be dangerous in the event of a crash. If you bottle feed, whether breast milk or formula, making bottles ahead of time can be helpful. For formula-fed babies, check out the Essential Baby Bottle by b.box, which keeps the formula and water separate until you're ready to use it. If you're traveling with breast milk, make up small 2-4 oz bottles to avoid waste. Your milk will stay fresh for up to 24 hours as long as your store it in a cooler with ice packs. The Le Leche League advises that milk can be kept at room temperature (66-78°F, 19-26°C) for 4-6 hours. Most sources say that you can re-refrigerate breast milk once. So once you reach your destination, you can safely transfer breast milk leftover from feedings to a refrigerator. While a well-fed baby is important, it's also important for mom, dad, and other travelers to be well-fed. You of course want to eat as healthy as possible, and stopping to stretch and take breaks is important. If your baby has a hard time sleeping in the car, but does fall asleep, then don't discount the convenience of drive-thru fast food to keep baby from waking. A final important word of advice is: Take your time getting to your destination. If you need a break or don't cover as many miles as you'd like, don't fret. Being late but calm and rested is better than being on time but exhausted with a cranky baby! 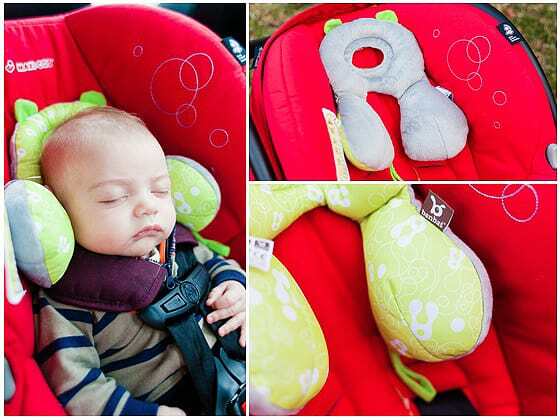 The Travel Friends Pillow is great for long car trips with your baby and also works well in a stroller. It is reversible, featuring a bright green cotton print on one side and a velvety fleece side for cooler temperatures. One side of the pillow also has a loop to attach a pacifier or toy if your baby is prone to dropping (or throwing) them. 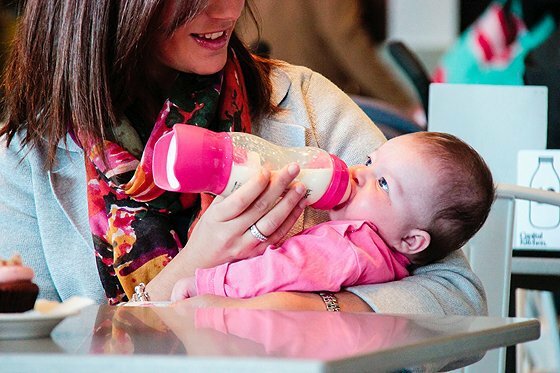 The Essential Baby Bottle is a timesaver for formula-fed babies on the go. Pre-measure your formula into the top container which stays separate from the water until your baby is ready to eat.